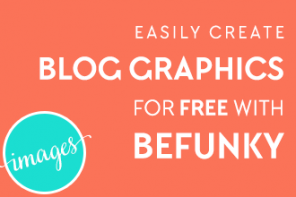 Have you struggled to make money from your blog too? 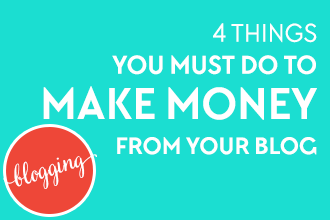 If so, this is the post for you, because I want to share four things you’re probably not doing that explain why and what to do about it to start earning money from your blog soon. « Notice I didn’t put a time limit on it that? Let me make one thing very clear: this post does not hold “the secret” to earning thousands of dollars in a month. So if you’re looking for a get-rich-quick scheme, this ain’t the post for you. You know this already, but you’re still not making money. What’s up with that? 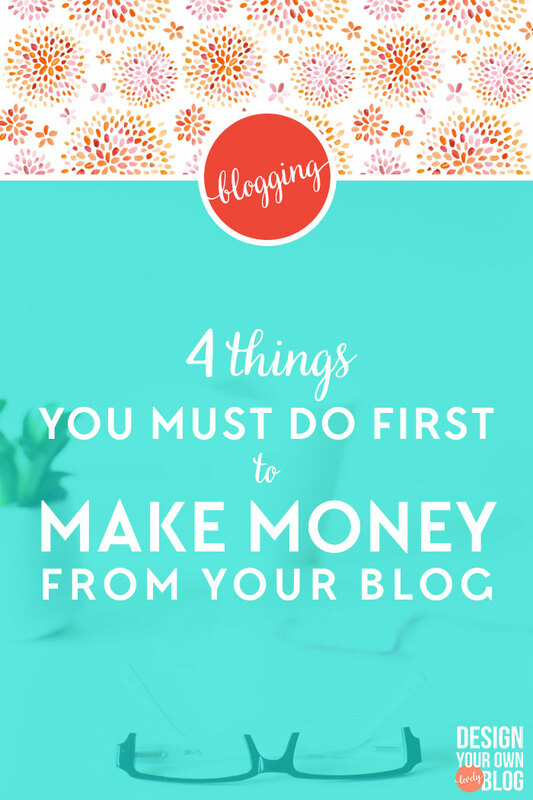 Following are four things you must do first to make money from your blog. Note: this post contains affiliate links (marked by a *) which means I may receive a small commission (at no cost to you) if you make a purchase through my link. I never recommend products I don’t stand behind, you can read my full disclosure here. Thanks for your support. 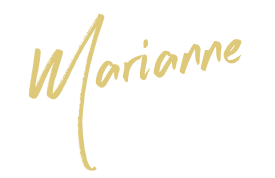 Without traffic, you can have all the ads, affiliate links and products in the world on your blog and you still won’t make a dime. How are you going to stand out from the millions of other bloggers if you aren’t offering a focused point of view? Sure there are some successful bloggers that cover a wide range of topics, but those bloggers have been around a long time and have made lots of strategic connections. You can go that route too, but do you really want to wait five years before you start making real money? My Solution? Find a real problem (or set of problems) that a specific set of people (your target audience) have and figure out a way to solve it in your own unique way. 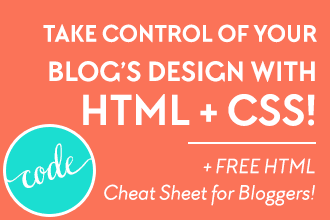 Resource: Choose a Profitable Blog Topic (with Free Workbook)! Find a real problem that your target audience has and figure out a way to solve it in your own unique way. Google can make or break your blog. That’s why it is so important to learn about SEO and keywords and use them effectively in your blog posts. Do you have to be an SEO expert? Nope, just learn enough to be dangerous 😉 If you’re on WordPress, you can use a plugin like Yoast SEO or All-in-One SEO, but you still need to have a basic understanding of how keywords work. I also recommend checking out this free Beginner’s Guide to SEO from Moz, the SEO experts. The best way to grow your blog traffic is to grow your social media following so you can share new (and old) blog posts with them! The best way to grow your social media following is to share relevant content on the social media platforms your target audience spends the most time on. Start with two platforms to focus on, then make sure about 80% of your posts come from other sources and 20% come from your own content. Over time, as you build trust, you can slowly shift the percentages the other way. Don’t look at other bloggers as competition. Make friends! Help each other out. Join a mastermind. Leave quality comments on their blogs. Submit really good quality guest posts to blogs with more traffic than yours. Get out there! You can’t do it alone. 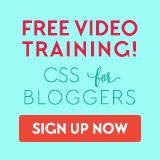 Want More In-Depth Info on Growing Your Traffic so You Can Make Money from Your Blog? I highly recommend an eBook by Lena Gott called 17 Strategies I Used to Go from 17K to 350K+ Pageviews in 9 Months. 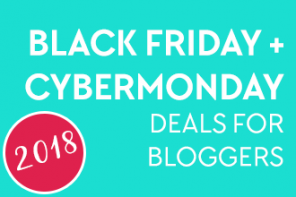 * This $25 eBook helps you narrow your blog’s focus, select the right keywords for your niche and decide which social platforms to focus on, as well as 14 other strategies you can use to significantly grow your blog traffic. 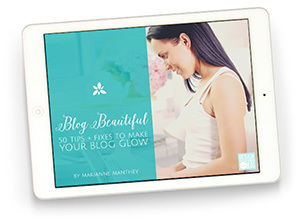 The ebook is 82 pages of detailed analysis and examples for growing your blog. It also includes a list of things you can STOP doing right now to maximize the time you spend working as well as worksheets to help you get on track. 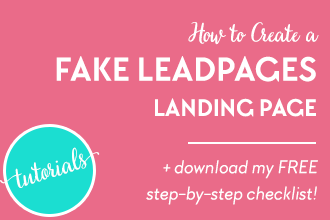 Obviously you have to grow your traffic before you can build your email list, but don’t use your low traffic as an excuse to not start collecting email addresses right away! Download the How I Built My Subscriber List eguide! Don’t use your low traffic as an excuse to not start collecting email addresses right away! 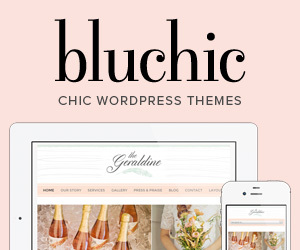 Want to Take Your Email List to Another Level so You Can Make Money from Your Blog? List Building Academy* by Laura Smith of iheartplanners.com is an awesome, action-focused course to help you make more money. 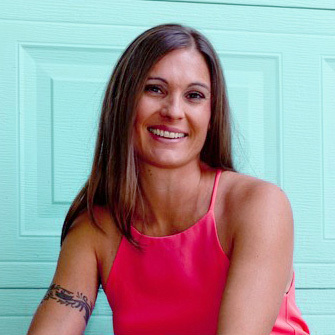 Not only does Laura show you ways to grow your list, but she provides tutorials that show you exactly how to do it. No need to waste time Googling around trying to figure out how to use the technology, because all that training is included in the course. When you finish this $147 course, you’ll have the perfect opt in offer created for your audience, and your e-mail list all set up. Awesome! 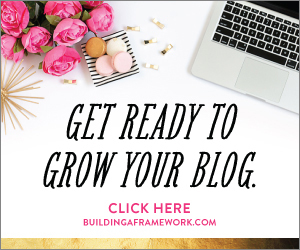 So you have traffic coming to your blog now, but it seems like no one wants to stick around! If you don’t remember the last time you sent your list an email, your list has officially gone cold. 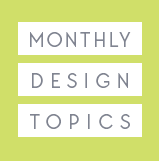 Even a tiny list should be kept warm with a monthly newsletter at minimum. Otherwise people forget who you are and why they signed up for your list in the first place. 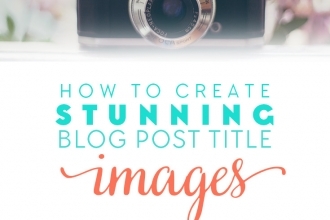 If you post regularly on your blog, send an email out with each new post. If you post a few times a week, a weekly update might do better. At the very least, send an email newsletter out once a month letting your list know what you’ve been up to. You can throw in content from other sources that you feel your audience will enjoy, your latest posts from that month, or add in a helpful tip or two. Make sure you are posting to your chosen social media platforms on a regular basis. I automate a lot of my posts using tools like Buffer and Hootsuite, both of which have free versions. 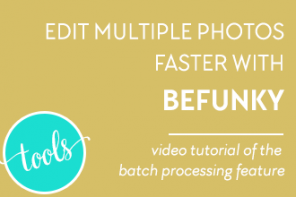 I just finished an email series on how I automate my social media so that my feeds are updated regularly on their own. I’ll be turning that series into a free downloadable resource here soon in my Resource Library, so be sure to subscribe there so you can be notified when it’s ready. **Make sure that you are sharing quality posts and that you are sharing more than just your own stuff. Remember the 80/20 rule I mentioned above? 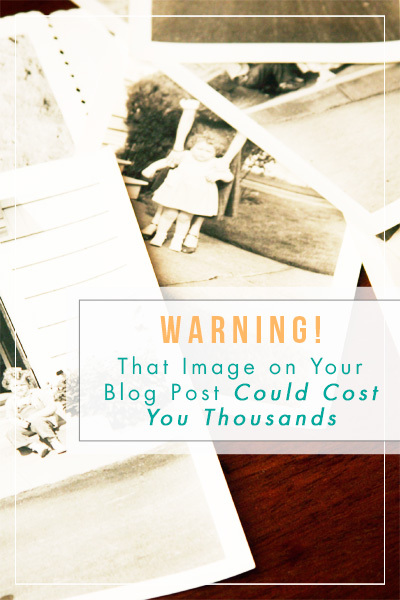 Maybe your blog posts don’t speak to your audience. 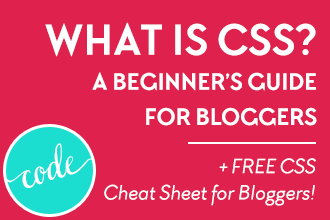 Everyone has a blog these days, so what makes one blog stand out from another? It really boils down to one simple thing: how good is your content? Not only does your content need to be well-written, it also needs to be informative, interesting and engaging. Is Content One of Your Trouble Spots? 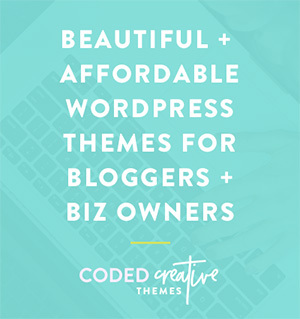 If quality content is currently tough for you, may I recommend a ridiculously incredible course called Content Cookbook: Quick-and-Easy Recipes to Create Fresh, Juicy, Sizzling Hot Blog Topics and Social Media Updates* by Prerna Malik? 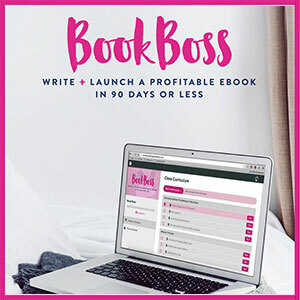 If you’ve felt embarrassed by the lack of engagement your blog and social media posts get, then you need The Content Cookbook, a 90-page DIY, Self-Paced eCourse for $199. The Content Cookbook will give you step-by-step recipes to create social media and blog content that turbocharge your engagement and visibility. What’s not to love about that? Look, blogging is not for the faint of heart. You’ve got to put in the extra hours and the extra effort. We’re all busy. I built up DYOB while working full time AND raising a one year old, so I know it can be done. How did I do it? By going into work one hour early each day to work on the blog and by staying up late many nights just to get a post or email done. 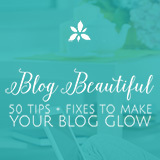 You can make excuses up the wazoo and find every reason in the world not to work on your blog. We’ve all done it. But the difference between those that make money and those that don’t is simple: the ones that make the money push past the excuses and just do it. Don’t take these last statements the wrong way. I do not believe you should run yourself into the ground, trying to make your business successful. I’m just asking you to take an honest look at your efforts and see if you are really doing your best. 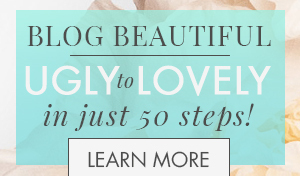 You can find every reason in the world not to work on your blog. That’s what separates those that make $ from those that don’t. Take the four steps I outlined above to heart. Do everything in your power to excel at each one. It’s not an easy road, the road of a blogger. 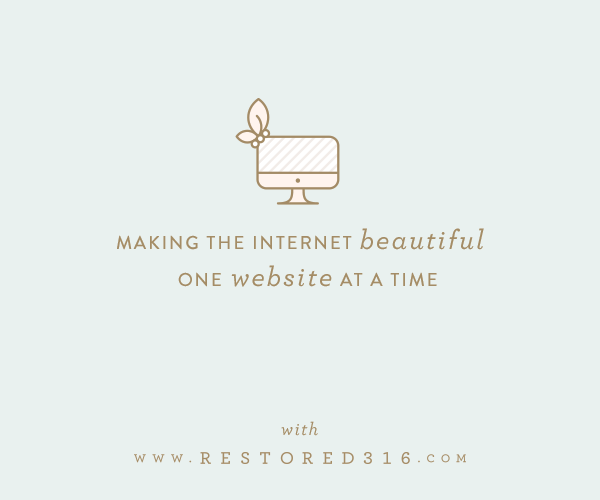 It may seem like it, from all the butterflies and roses many bloggers paint out there. Truthfully, I’m not a six-figure blogger yet and some days, I’m so exhausted and overwhelmed, I wish I could just quit. Once you’ve worked on the above, you may be wondering “How on earth do I get people to stay on my blog now?” then check out this post next: 7 Reasons Visitors are Bouncing from Your Blog (and how to fix it). So my lovelies, what do you think? 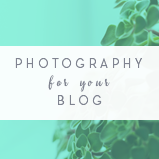 I’d love to hear where you are right now in your blogging journey and what you struggle with the most, so leave me a comment below. Previous articleThe Secret to a Better Blog! 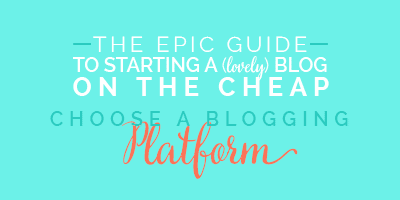 Getting exited about blogging is just one step. It is the hard work that makes you climb more steps, one need to be consistent and thoroughly analyze what is working and what is not in traffic and money strategy. Very true Kaushik and I left that part out. Consistently analyzing what works and what doesn’t also helps you to gain a larger audience, grow a bigger list and make more sales. I have trusted you for a couple years, but the “Genius” Blogger’s Toolkit is VERY questionable. I clicked on the link from your email and the so-called genius started YELLING at me! How can I trust anyone who has proven that she is way, way behind in what is considered good internet manners? How old is the information she is peddling anyway? My mother was in the hospital two weeks ago and recovering at home. This woke her up from a nap that she desperately needs. Oh no Barbara, I am so so sorry about that. Yes, there is an auto-play video on the sales page, I hadn’t realized it. I guess it didn’t bother me personally, but I will mention this to them. However, I hope you do not judge the bundle itself on the sales page video alone. Have you taken a look at everything that is included? I have never seen a bundle so extensive and inclusive for such a low price before. And for quality products as well. The lady in the video is not the creator of the products. 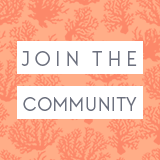 In fact, it is a collaboration between many bloggers, including myself. I do hope you can look past the video and see what you are getting, which is what has me so excited about it. I appreciate the trust you have put in me all these years, Barbara, and hope to continue doing so. What a terrific post, as usual, my friend! I always value your advice. I’m also a UB affiliate so you’d better believe I got my Genius Bloggers Toolkit and LOVE.IT.!!! I love how you worked the products into this post without being sales-y. So classy. Also, it explained a couple of the books/courses for me and affirmed that my first book (which I’ve already started) is also the first one you mentioned. Yay me! I’m still honing on my niche. Getting tighter! Thanks for this great post. Read it in my inbox. You’ll get there with your niche. It’s a work in progress as you continually test and tweak what your audience responds to. Glad you’re doing the work now! It’s such a great bundle to be a part of, I couldn’t be prouder. Thanks also for your kind words, I appreciate them a lot. It’s hard to write posts like this for me because I hate sounding salesy, so I appreciate your thoughts. Girl I love reading your posts!!! Excellent information and resource suggestions. 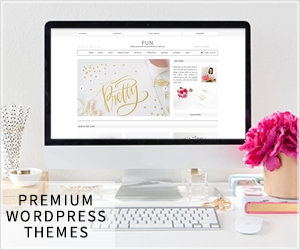 Although my blog is not my main income revenue, I constantly have to be reminded how to make it great and now that I’m revamping my website, these are the things I have to keep in mind. Thanks friend! Great post! 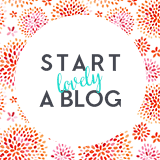 I am just starting up my blog again after a very long absence and am just starting to re-vamp it! 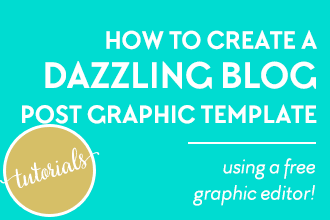 So far I have just created a new logo/header and am working my way through the Blogger’s Toolkit, and I have to say it is absolutely AMAZING what is included in the bundle; I am enjoying it immensely! In fact, it is so packed full of stuff that I feel a little overwhelmed! So I am just taking it step by step and concentrating on one aspect before moving on to the next! So exciting! I do have to say though that I am not a big fan of auto-play videos either! Especially after you purchase the toolkit to have yet another auto-play video pop up trying to sell even more product! At first, I was wondering if I had made the right decision but after my initial hesitancy, I couldn’t be more pleased and managed to just look past the second sales grab! Hi Ann, thanks for your sweet comments! I am so so glad to hear you are enjoying the bundle. It really is the most comprehensive I’ve seen to date and was absolutely thrilled to be included in it! I understand the overwhelm, I have that a little bit too when looking at it as a whole, but it helps that they categorized the products and I can search for what I need when I need it. Also, don’t forget about the user manual. It’ll help you organize the products for your own needs! Such a great bonus I’ve never seen before with a bundle. I agree with your thoughts on the auto-play video. That’s usually a no-no in most conditions. I mentioned this to them and they said that they tested it thoroughly and found it to convert well. Kinda like popups. Everyone hates them, but they still somehow seem to convert well. I don’t get it, but what can you do? It’s really useful ,Thanks Marianne .I will follow you step by step . 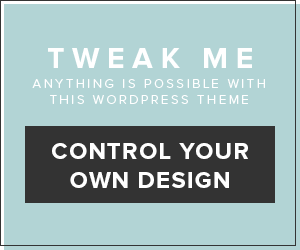 I want to create my own blog for myself. Marianne pls can you help me get AdSense on my blog? Hi Raphael, I don’t use AdSense unfortunately. Thank you for this. I’ve needed something like this. Simple but to the point. Oh yay I’m so glad Jalisa! Good luck, you’ll get there!